Welcome to Eagle Lake Lodge... a fisherman's paradise located on Eagle Lake in Central Minnesota! 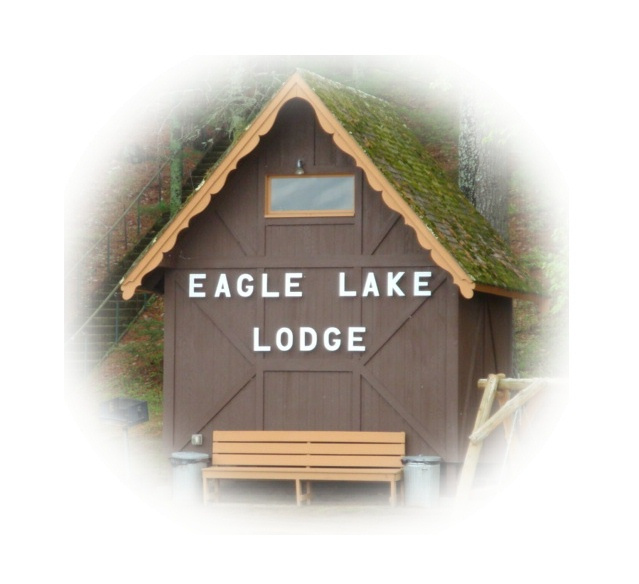 Located on the South shore of Eagle Lake, serving families since the mid 1930's, we are a small family resort consisting of six rustic cabins and one trailer. Our lake contains fish for everyone.... crappies, northern, blue gill, sun fish, bass (small and large mouth) and even some walleye. The clear spring fed lake is suitable for swimming from our sandy beach. Canoeing, kayaking, tubing or water skiing can also be found on the lake during the day. With over 500 ft of sandy beach shoreline, our facilities include a children's play area, laundry facilities, volleyball court, picnic tables, two decks overlooking the lake, a beach fire pit and a fish cleaning house. We have a canoe, kayaks and paddle boat for our guests to use. A pontoon is available for rent either by the day or by the week. Each cabin has a minimum of 2 bedrooms with double beds in each. Wi-Fi is available to our guests at no charge. Please check our calendar for available dates for each cabin. NOTE: Dates have been posted for our 2019 season. Check out the Available Dates to see what dates work for you! We do ask that there be no set-up of tents & no jet skis. Pets allowed with restrictions and approval.